Our horses are doing great. We have had an unusually warm autumn here in Sotardalen and not until the latest week the temperature has dropped down to around 0°C/32°F. When this shift in season happens there are often reports about horses showing symptoms of constipation colic. 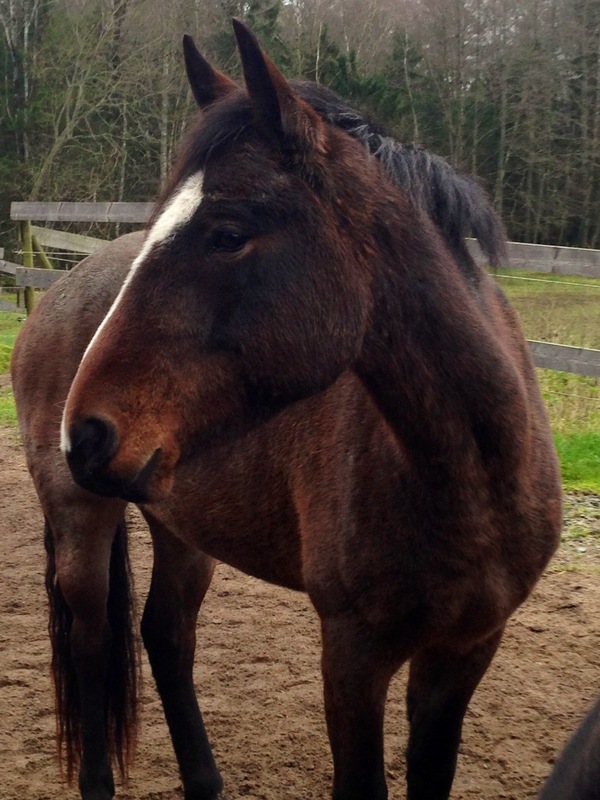 Colic is a very dangerous symptom for horses; it is the most common cause of death. At one large stable not so far from these parts 25% of the horses are suffering from more or less severe symptoms. Keeping horses safe and healthy is a constant concern for every horse person and as being blessed with three Nokota horses as full members of our closest family we always share that concern. It seems that the causes behind colic are not quite understood, probably because there are different causes and different kinds of colic. Some of the causes can be found in feeding, housing, care, health, climate, physical characteristics, and parasites. Constipation colic is when a horse get impacted and it can happen for a number of reasons, but a combination of dehydration and decrease of exercise may lead to an impacted content in the intestinal tract and eventually a blockage. 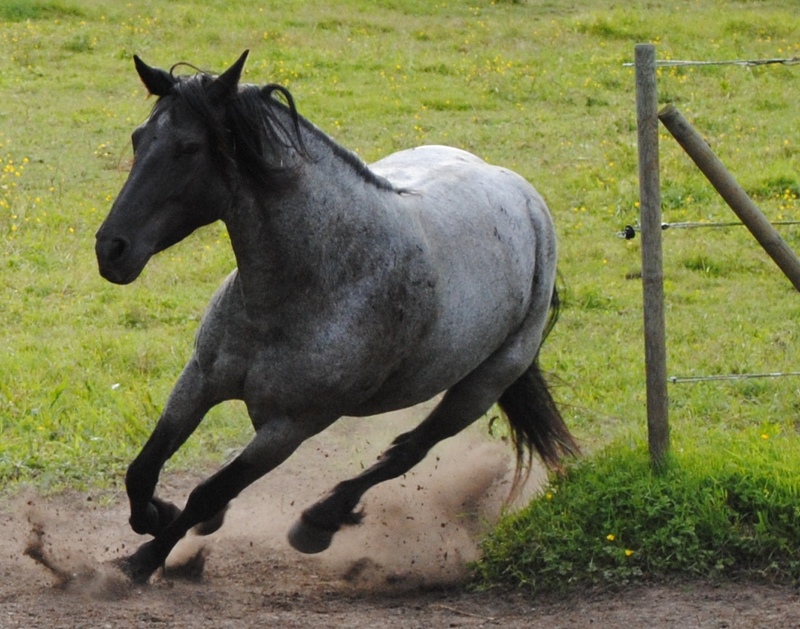 Many horses are restricted to four hours a day outdoors often in a small corral and twenty hours in stall, only interrupted by maybe a few moments of hard exercise a week. Feeding procedures often means that a full ration of hay and grains are given three times a day, same amount each time, each day, regardless of season. Horses tend to drink less water in winter to reduce heat loss, especially if the water is ice cold. Free living wild horses spend basically all hours searching for food, which means free movement in slow to moderate intensity and slow feeding. The common recommendation to keep a domesticated horse at a constant weight is another manmade problem. Wild horses vary their weight over the year; in spring and early summer horses gain weight as they eat a lot of nourishing grass and legumes. When the summer turns into autumn grazing weakens in content and availability, then in winter very little remains and life on the plains becomes a test of endurance and by the end of winter many horses are undernourished with visible ribs. During low temperatures wild horses probably drink less to prevent heat loss, but that is combined with low food availability and unceasing search for food. 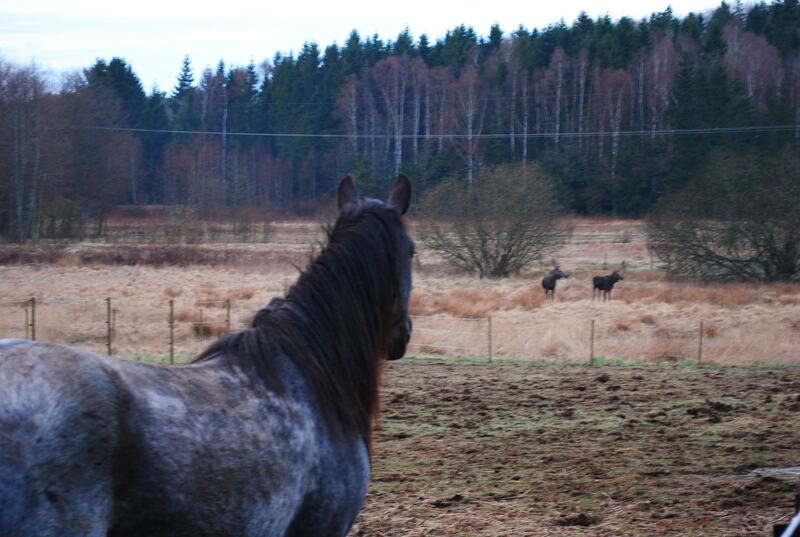 We keep our Nokota horses out on pasture year-round 24-7. The stable is always open and our horses chose freely where to stay. We cannot let our horses starve during winter so we feed them as usual four times a day, but we soak the hay in buckets of lukewarm water. We are careful never to overfeed during winter; rather too little than too much, and no grains. 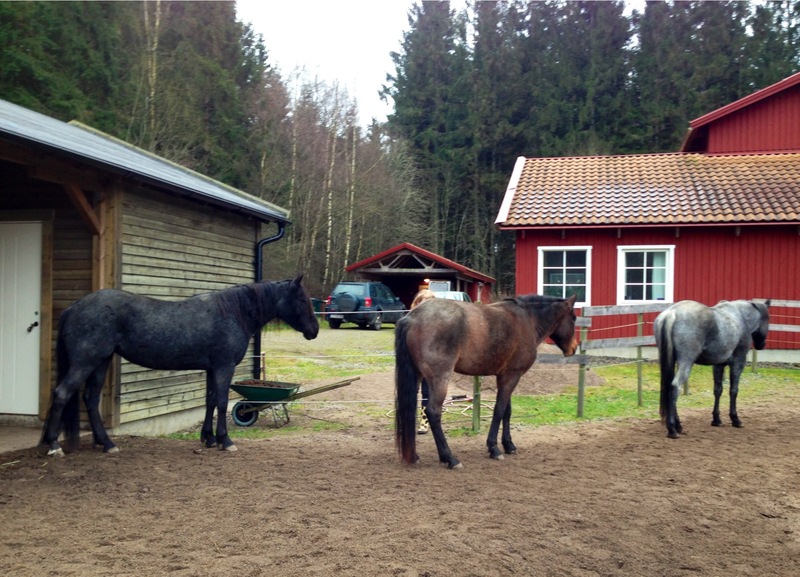 We let our horses gain some weight during summer and it is okay if they gradually lose some weight during winter, but we check them on a daily basis. We do not use an electrically heated water bucket, but since the hose is frozen we carry fresh clean lukewarm water by the bucket to our horses four times a day, just to encourage our horses to drink more water. 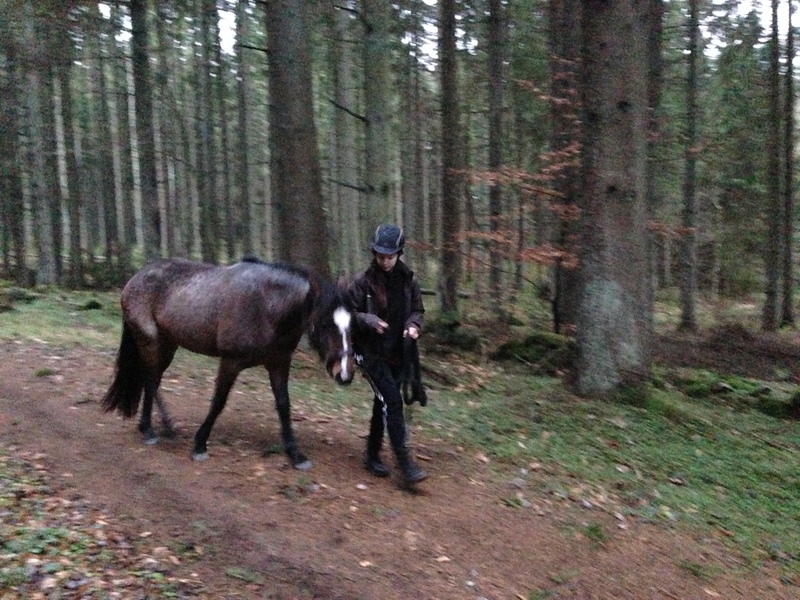 As I recon, it always pays off to keep the horses happy; it is what we are here for. Previously there was a general opinion that horse’s vision was kind of blurry and that was one of the reasons why horses seemed so distracted at times. Today we know better, even if much is yet to be studied and explained. Horses’ ability to see small detail, or visual acuity, has been the subject of several scientific studies with quite different results. 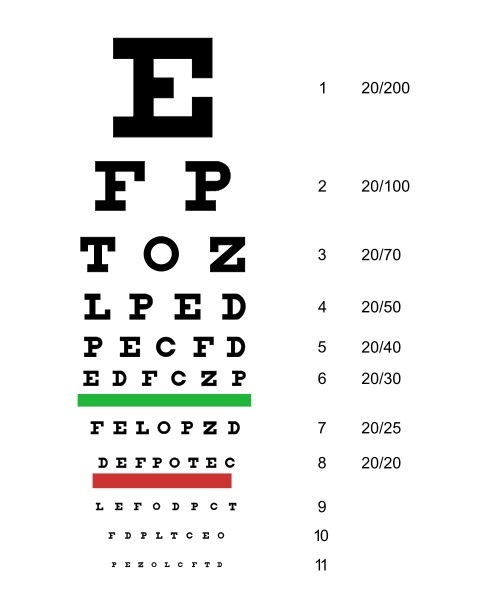 Since we cannot make horses reel off the letters from a Snellen chart it is not really the same requirements as when measuring human visual acuity. If we do some calculation we can say that, under certain conditions, a human with 20/20 vision can distinct between details 29mm wide at a distance of 100 meters, while horses can distinct between 44mm wide details. It is not a very big difference. Remember that human vision has been studied on billions of people while only a very small number of horses have been tested using very different methods not easily comparable, so the results may have been significantly underestimated concerning horses visual acuity. The horse has a horizontal linear visual band (compared to the human point like macula) within the retina with a high concentration of photoreceptor cells, which gives the best acuity. Maximum acuity (sharpness) for us humans occurs in the center of our view, but only seven degrees from the center the acuity is down to 15%. At the edge of the binocular field the acuity is down to 4%. A sign that is easy to read when you look right at it is impossible to read if you focus beside it. We feel as if we have good acuity all over our visual field, but that is just an illusion. This feeling is probably the same for the horse; wherever they focus their attention the acuity is good. How horses’ acuity drops when off center is even more difficult to study, but it would be interesting to know how the horizontal linear visual streak of the horse performs as compared to our point like macula. Maybe horses have a larger field of fairly good acuity than we have? Both humans and horses have what is called accommodation; we can change the shape of the lens to focus an image on the retina. Accommodation is primarily important when focusing on things up close because then the muscles that shape the lens contracts and to focus at a distance the muscles relax. An old misunderstanding is that horses focus by tilting their head to focus an image along a so called ramp retina, but this is not correct. When it first was discovered that horses did have accomodation it was found to be much weaker than ours, but now it has been recognized that their lens require less change to keep the image focused than the human lens does. The behavior of moving the head which was thought to be a way to try and focus is now only associated with binocular vision, as discussed in blog post #3. 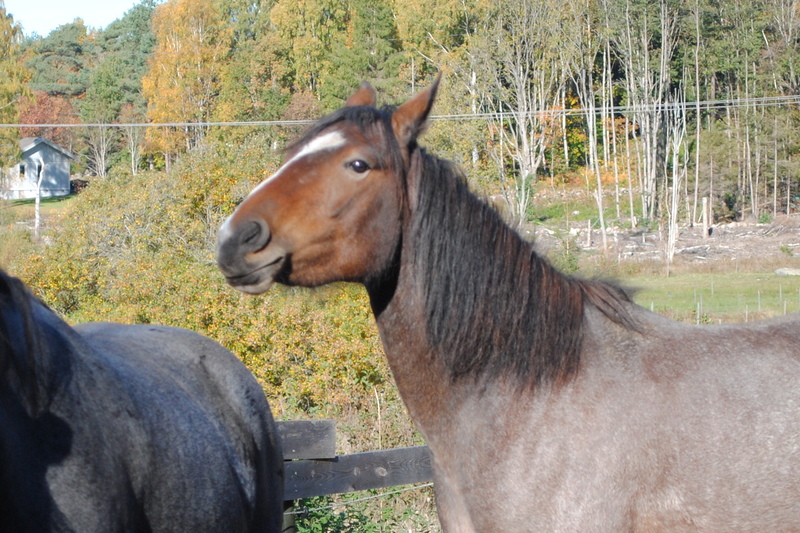 It is of course likely that there are variations in acuity between individual horses, just as among humans. Refractive errors among horses have been studied on a limited number of horses so there are few good statistical facts about that, but it seems to be more common with hyperopia (bad short range acuity) compared to myopia (bad long range acuity) which is quite logical among most mammal species. In one study of fifteen domesticated horses (Farrall and Handscombe) one in five horses was myopic and two out of five hyperopic. Myopia is undeniably a disadvantage for any animal in the wild, prey or predator; any heredity towards myopia must be ruled out by natural selection. To focus on objects closer than one meter, the muscles which work to shape the lens get very strained. Doing so often and over long periods of time may lead to difficulties for the muscles to relax, which is needed when focusing on long range. There are suspicions that the domestication of the horse could have made myopia more common, but I have not found any scientific study which supports that. What I do know is that our Nokota horses seems to have excellent acuity on long range, as they can spot a fox at the same (if not farther) distance as I myself only just barely can with a 20/20 vision, with the reservation that it also involves other visual properties as discussed in previous sections of this blog series. As all photographers know; the smaller the focal ratio number, the bigger the focal diameter and the more light enters the camera, and the smaller the depth of focus. The focal ratio is the focal length divided by the aperture diameter, in this case the pupil diameter. The human focal length is typically 16,7mm and we can adjust the pupil diameter between 2 and 7 mm (in order to let in just the right amount of light). This gives the human eye a focal ratio span of 2,4 to 8,3. The horse has a focal lenght of typically 25mm. Since their pupil is more like a horizontal oval or ellipse we use the average, or equivalent, diameter which is 30mm when fully open (2008 Roth et al). This gives the horse eye focal ratio 0,83 when the pupil is fully diluted (as compared to the human 2,4). I have not found any figures on the size of the minimum pupil so we have to leave that out unfortunately. However, the third eyelid which can shade the retina from light coming from above as well as the shape of the pupil which gives a horisontal field of view, means that the horse eye do not need the same high end focal ratio as we do. This exercise tells us that horses probably can’t reach the same depth of focus as we humans can. It does not mean they have less good acuity, only less depth of focus. Meaning that when they focus on an object, the background, as well as closer objects, seems more blurred than we would experience, if all other properties are given equal. This may not be a disadvantage for the horse since it would make the focused object stand out against the surroundings. Note that horses’ eyes need much less light than ours to make a perfect picture, so if our pupil need to open fully the horse’s pupil may still be fairly closed, so in that particular case both horse and human would roughly enjoy the same focal depth. The next and final part of this series on Equine Visual Perception is where we draw the conclusions about equine visual conception and discuss how to apply them on our everyday life among horses, so stay tuned. The ability to perceive color is just one of the features that differ between horses and humans, without claiming that one is better than the other. The field of view including the binocular vision is another aspect that we will discuss in this third episode on equine visual perception. Humans have three kinds of cones (trichromatic vision) with sensitivity curves that peak at different wavelengths close to the colors; blue, green and red. When combined the maximum sensitivity peaks at 555nm, which is the color green. Some people have only two kinds of cones (dichromatic vision), a kind of defect color perception. In some situations the human trichromatic vision, which puts much attention to various colors in the environment, can actually disguise visual features a horse will never miss. After all every land mammal have dichromatic vision, with very few exceptions, for some evolutionary reason. Dichromatic vision is especially effective in detecting movement and to see changes in texture based on light intensity and not being distracted by a wide range of colors. Only humans can be fooled by a fancy camouflage-hunting-suit, seldom the hunted prey. This is a very important difference to ponder about; color is important to humans and movement is important to horses! The horse, also known as Equus ferus caballus, evolved in open rangelands and that is where they are untouchable, not without thanks to their wide field of view. The herbivores hugely outnumber the carnivores in any open grassland habitat, if free from human interference. A predator’s only chance to feed frequently is to catch the weak and injured, which of course only pushes evolution towards even stronger and healthier herbivores. Horses’ visual field covers almost a full circle, which makes it virtually impossible to sneak up on a band of horses out on open range. Each horse eye covers 200 degrees and they overlap by about 60-80 degrees in a triangular shape up front, so the combined field of view is something like 320-340 degrees, leaving a small blind spot behind the horse, which is easily covered by a slight movement. We humans have a combined visual field of about 180 degrees, a half circle. A large part of that field (120 degrees) where our eyes overlap is called the binocular field. It gives us a good sense of distance, or 3D to put it straight. 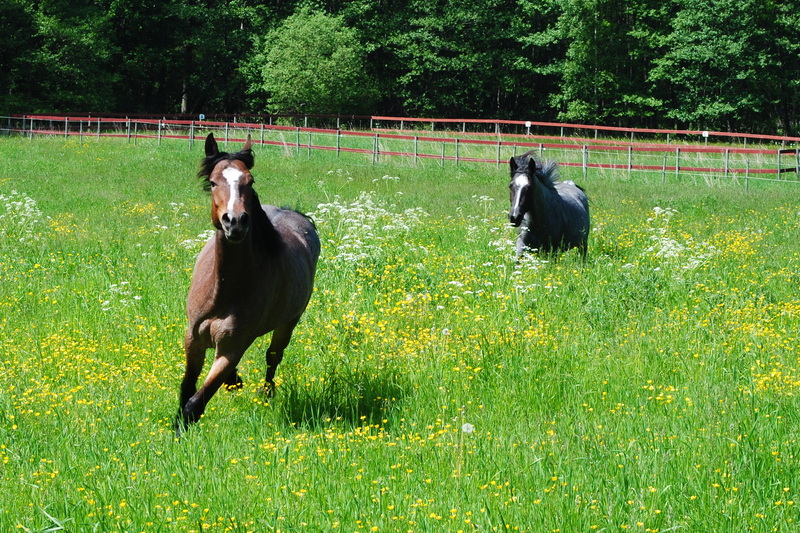 Horses’ ability to estimate distance is affected by their smaller binocular field and also by the fact that it has a triangular shape, with the base horizontal to the ground. They need to lift their head and point their eyes and head more exactly to see a distant object in full 3D. However the distance between their eyes is wider than ours which is to their advantage. The sum of it all is that a smaller binocular field, but a larger inter-ocular distance (the distance between the eyes) gives the horse a narrower, but deeper binocular vision compared to us humans. When moving fast and looking forward a wide binocular field is no advantage, but a deeper binocular field means high precision. So given the horse has loose reins so that she can point her head for optimum binocular vision, she out conquers her human riders ability to estimate distance. This is an important conclusion. Another way to judge distance while moving fast is to sense the speed at which the size of an approaching object is increasing. It is probable that horses generally are better at this than the average human. Besides as everyone knows it is possible to see depth in a flat image too and it is easy to realize by looking with just one eye that there are several different ways to sense distance and depth. Together they sum up the total experience. As you all probably know it is often recommended that you train a horse from both sides because horses seems to have no connection between what happens on the left and on the right side. 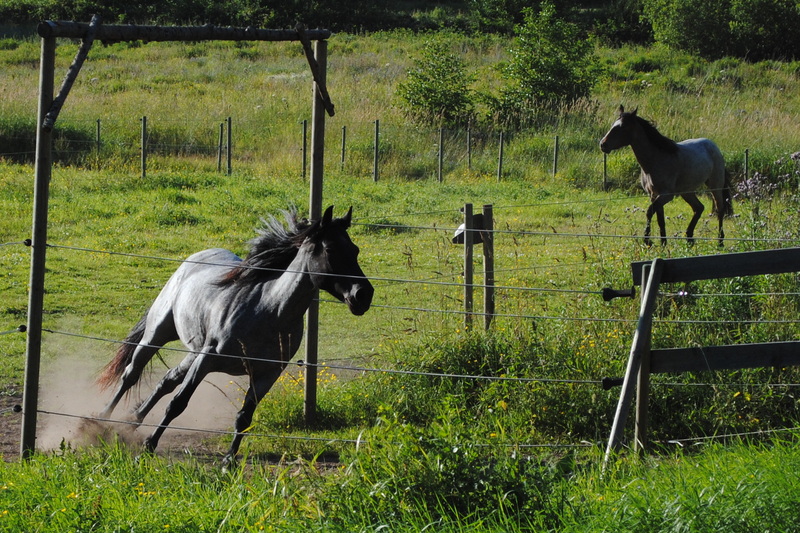 It is also common practice to mount from the left side every time, or the horse may get spooked. The reason for all this is said to be because horses have no, or insufficient, connection (corpus callosum) between their brain halves and they have no inter ocular transfer. Unfortunately these assumptions are absolutely false! A well renowned researcher and horse person Dr Evelyn B Hangii has done a lot of interesting work on this subject. According to physiological evidence horses have in fact more crossed optic nerve fibers than humans and horses also have a substantial corpus callosum perfectly capable to transfer sufficient data between the two brain halves. The above mentioned behaviors that horses seem to react different depending on which side, or which eye they face things, need another explanation. Horses are prey and humans are predators and we use a different frame of reference in everything we do. 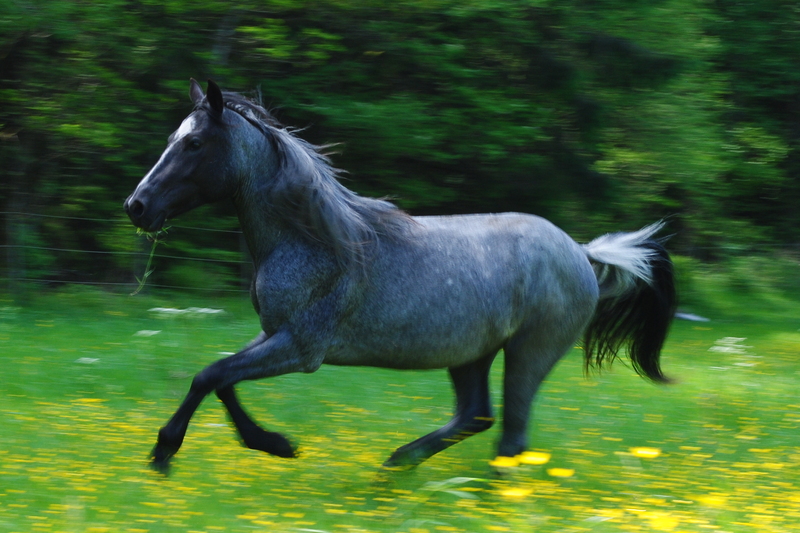 Evolution has made horses very careful; they keep track of every change in their environment in good memory, even small things like the ones mentioned above. For us a trailer is a trailer, but for a horse one trailer is very different from another trailer, not because they cannot make associations or categorizations and not because there is something wrong with their eyes or brains, but because they are prey, and therefore careful. The only way a horse can relax is in company with trusted friends, horse or human, and in places they trust. Their concern about their surrounding environment is tiresome for them, so they constantly seek safety in trusted friends and trusted places. 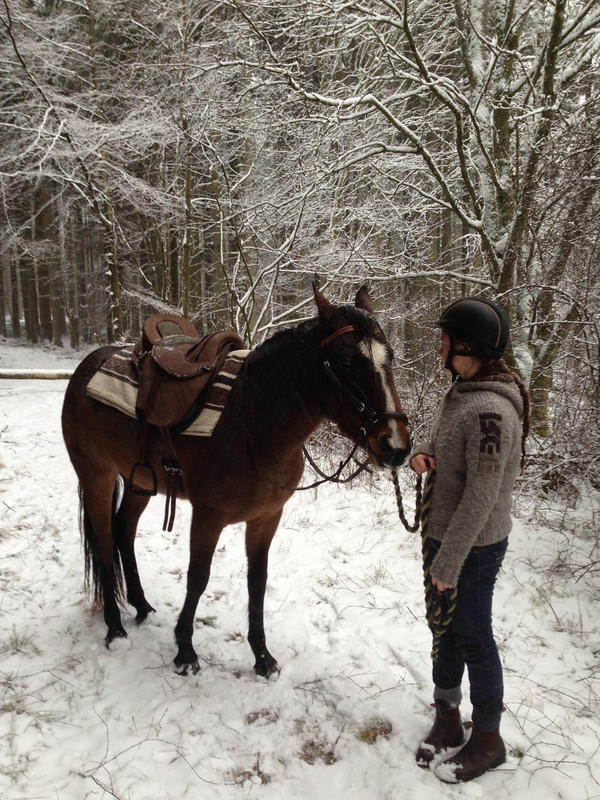 It takes time and patience, but it comes to every horse with her own experience. 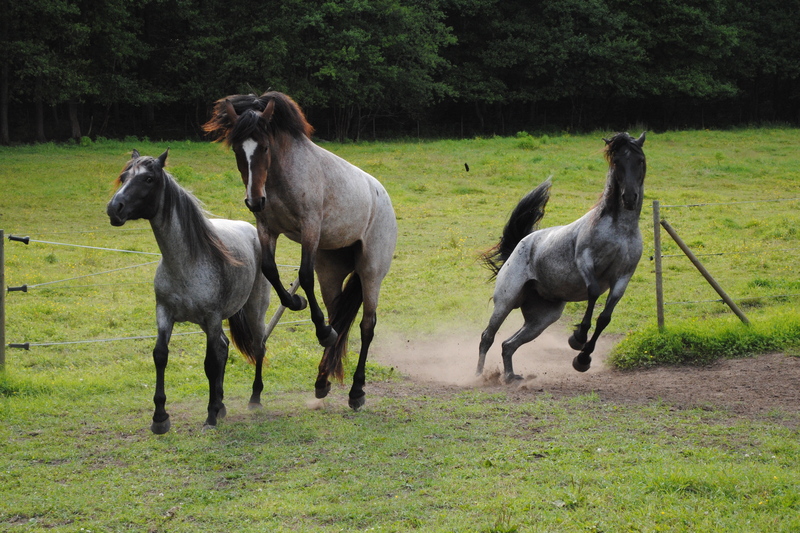 Horses get their experience from social connections with other horses and humans in a varied environment they can control themselves, the more the better. You are undoubtedly also familiar with the old scientific truth that humans, and horses alike, are either left-brain dominant (methodical/analytical) or right-brain dominant (artistic/creative). It sounds logical and well established and is used by several famous horse trainers, but this does not prevent it from being completely false! In a very recent work of science (2013 Nielsen et al) more than one thousand human individuals were tested thoroughly by magnetic resonance imaging. One clear conclusion is that an individual brain is not “left-brained” or “right-brained” as a global property. You can of course put a label on individuals and categorize different personalities to make a pedagogical point out of that, but it has nothing to do with left and right brain halves being more or less dominant and there is no reason why horses would be any different. The following section of this series on Equine Visual Perception that will appear here in a few days is dedicated to acuity, the ability to focus to create a sharp image on the retina; a subject full of myths and assumptions. In this episode on Equine Visual Perception we will begin to scrutinize the internal features of the equine eye as compared to our human eye. First we need to get a general understanding of how an eye works. The science behind the eye, the different cells, their connections and functions, is a universe of its own and the more you dig into it the more you realize how little you know. So, right or wrong in order to reach a graspable explanation, we need to make simplifications. Light receptor cells; rods for black and white and cones for color. Horizontal cells; primarily unite signals from cones. There are three types. Amacrine cells; some converge signals from rods, but there are 22 different kinds of amacrine cells and they do a variety of different jobs, many yet unknown. Bipolar cells; a kind of amplifiers connected between light receptors and ganglion cells. Some connects light receptors via horizontal cells. Ganglion cells; the transmitters that sends the visual information to the brain. They come in different sizes and connections. Rods are very sensitive and thus good for faint light conditions (scotopic conditions). While a rod under perfect conditions only needs to be hit by one single photon to react, a cone needs to be hit by a thousand photons. This makes a big difference in very poor light conditions, but not in full daylight. However once a cone reacts it responds more quickly than a rod does. Rods detect differences in light intensity, but not in wavelengths (colors). Their sensitivity peak in short (blue) wavelengths, that’s why colors seems diluted in faint light conditions. Cones however dissolve wavelengths very precisely, meaning they give us the sense of color, but cones need fairly good light conditions to do their work. We will return to that later. Rods are often connected in bundles to each bipolar cell, which means great sensitivity, but poor resolution. Cones in the fovea, in the center of the eye, are each connected to one bipolar cell, providing excellent resolution in good light conditions. Horses have the biggest eyes of all land mammals, 10 times bigger by volume than a human eye, which is important to consider as it probably enhances every aspect of horses’ visual perception, including acuity. Keep this in mind as you read on! A human eye has 120 million rods and 6 million cones, which means a 20:1 ratio. In the absolute center of the macula (the yellow spot) called the fovea, there are tightly packed cones (160 000 cones per square millimeter) but no rods. The further away from the center of the retina the less cones. In the peripheral there are “only” 5000 per square millimeter. A horse eye has the same 20:1 ratio between rods and cones. 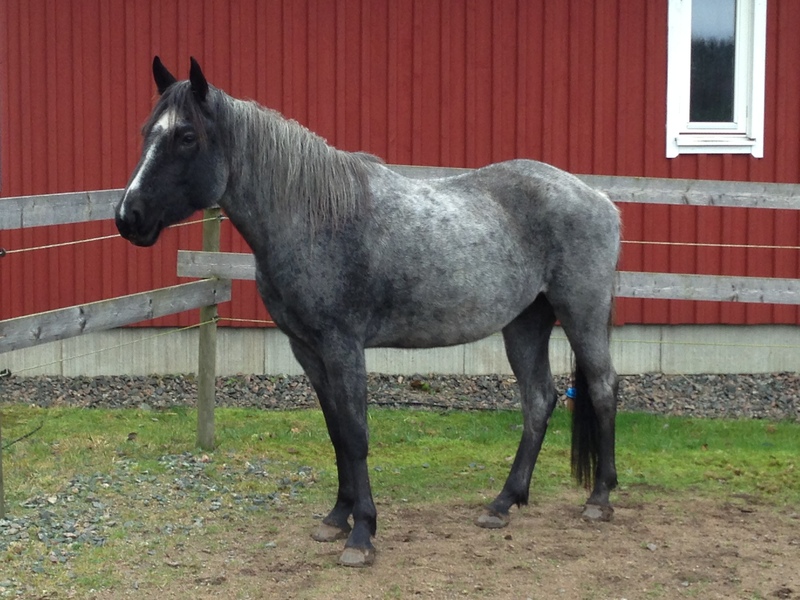 Horses have a horizontal streak or band instead of the human yellow spot. The streak have about 20 000 cones per square millimeter and 120 000 rods per square millimeter, but at the peripheral there are the same cone density as in the human eye. The area of highest density corresponds to the binocular field, but more on the binocular field later. The horse has a stretched out horizontal pupil, as compared to the circular human pupil. It gives the horse a wide lateral field of vision, which is great for a prey animal on open range. When exposed to high light levels from one part of the visual field it can be problematic for the pupil to adjust the amount of incoming light without making other parts of the visual field too dark. This problem is solved by the third eye lid, corpora nigra, in the inside corner of the eye that closes diagonally over the eye. It can limit the amount of light that comes in from above as it shades the lower half of the retina. So in bright sunlight the horse can still keep a good sensitivity for faint light coming from the dark shadows. It is however not as effective if the light is reflected and evenly spread in all directions, like in a stable. Therefore it can be a good idea to paint the ceiling white, but the walls and floor in a darker color, to correspond better to natural outdoor conditions. It is often said; the horse has difficulties to adapt to fast changes in light intensity, as when an artificial light is turned off or on. I am not sure that is correct, or at least it is a bit off subject. Because horses have such a large field of view they cannot easily get away from a sudden bright light by turning away the head as we humans can. 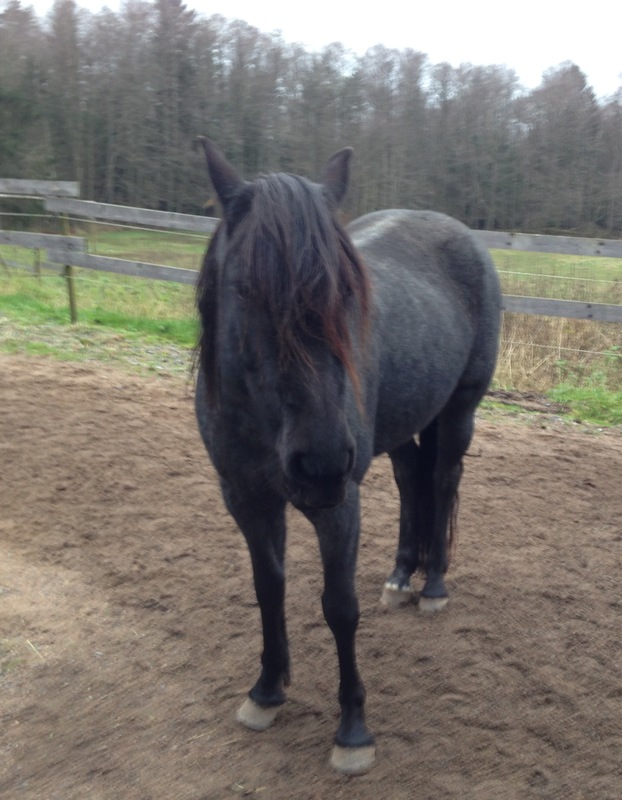 Besides a horse is naturally suspicious to enter a dark place like a room, stable or transport, she may also react when the light changes quick, but all this is natural and logic reactions for a prey animal, it does not necessarily have anything to do with the eye being less good at adapting to changes in light intensity. 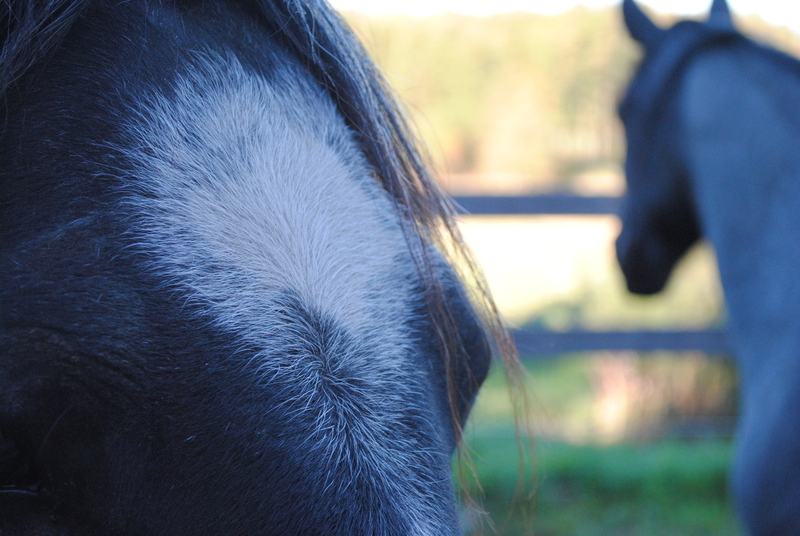 Horses have an inter-ocular transfer between the eyes, just as humans do. It means that e.g. a change in light intensity that affects one eye is also recognized by the other eye. Horse’s scotopic vision is further enhanced by a reflective layer, tapetum lucidum, acting like a mirror behind the light receptor cells, a feature the horse shares with many other species. It gives the rods and cones a second chance to capture the photons, at the expense of loss in acuity since it scatters the light. The tapetum lucidum primarily reflects light coming from a downward angle. Thanks to this, horses can confidently move around in what we humans perceive as total darkness. 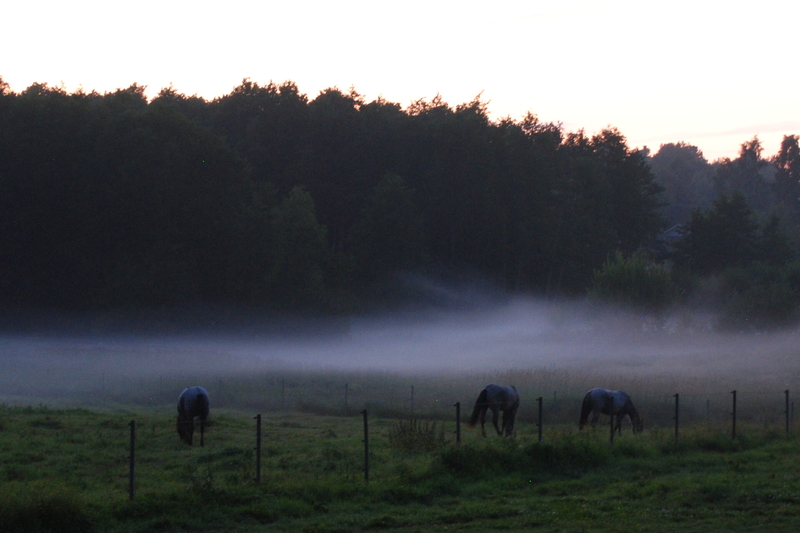 The difference between day and night is much less dramatic for a horse than for a human. The next part of this series on Equine Visual Perception will deal with color vision and binocular vision. Horses and humans visually conceive the same surrounding environment very differently because our eyes are different and because our evolutionary preconditions and experiences are different, but we do share the same world. When watching horses interact out on a free range it is easy to realize horses seems to benefit from good eyesight, just as we humans do. No one has a complete explanation of the differences between equine and human visual perception, but the more we know about it the better we can understand the sublime details in equine behavior most people never even see. Eyes and vision, especially equine vision is complicated business, so even if this text has no ambitions to be a work of science whatsoever, it is necessary to “drink deep” otherwise it only leads to more misconceptions. Since we (yet) cannot connect an equine optic nerve to our own brain we cannot know exactly how horses see. 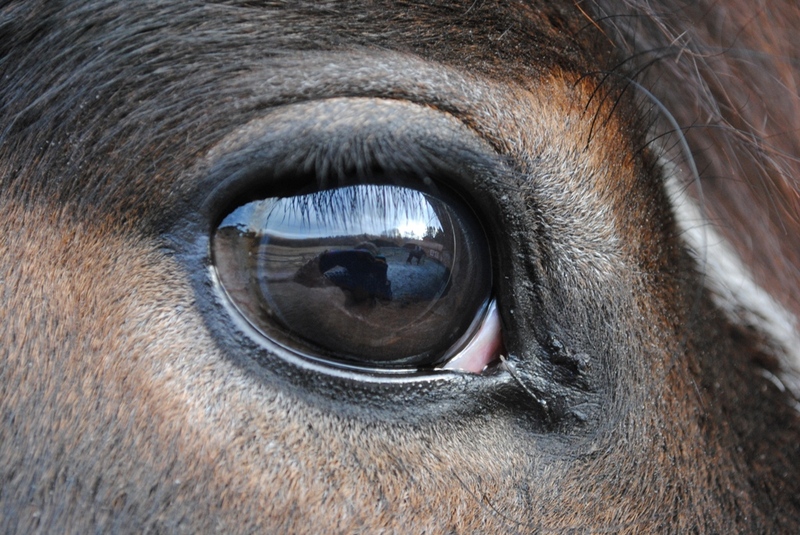 At best we can find out about the technical specifications of the equine eye, but that alone does not tell us exactly how horses experience their own eyesight. Let us begin from the basics; vision is just one of many senses that help us interpret the reality around us. Our eyes receive light and transform it into signals compatible to our brain, as an input to create one important piece in our complete perception of the immediate surrounding reality. Light is electromagnetic radiation. In some ways it behaves like a wave and in some ways it behaves like a particle, or a package of energy. The best present explanation is that it is a point-like particle called a photon, an elementary particle which has no mass and no electric charge. In vacuum it travels at a speed more or less equal to seven laps around the earth in one second. The shorter the wavelength the more energy each photon represent. The visible spectrum for us humans is between 380nm and 780nm. (Equivalent to about 200 oscillations across the width of a single human hair.) Short wavelengths are perceived as blue and long wavelengths are perceived as red. Even longer waves, beyond the visible spectra, is low energy radiation; infrared radiation, micro waves and radio waves. On the shorter side, shorter than the visible spectra we find high energy radiation; ultraviolet radiation, x-rays and gamma rays. It is basically the same physical phenomena, only different wavelengths. When these photons of light, originating from nuclear processes in the core of the sun (or from another source like a light bulb), comes rushing in a complete mix of a variety of wavelengths and hits an object they bounce off, but not all of them. Some wavelengths of light are absorbed or changed, depending on the objects’ properties. If e.g. only short wavelengths are reflected and we happen to look in the direction of the object, some of the reflected light enters our eyes, hits some of the photoreceptor cells in the retina of our eye and a nerve impulse is sent to our brain which in our consciousness creates a virtual picture of a blue object. So we do not really perceive anything as it really is; we only imagine virtual models out of bouncing photons. However it serves its purpose very well for humans as well as horses; we can see. In the next part of this series on Equine Visual Perception we will begin to scrutinize the internal features of the equine eye as compared to our human eye.